The last service area on the A27, positioned at the very end of the road. 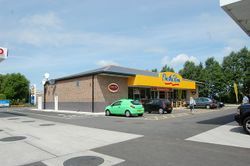 The Pevensey branch of Little Chef was built here in 1995. This closed in 2008 and was later taken over and refurbished. The petrol station was an Esso On the Run with a Costa. 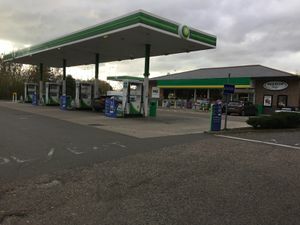 It was very briefly taken over by MRH in late 2015 and then refitted and reopened as a BP site in February 2016.